Children will love learning to read with this new series combining the expertise of DK and the exciting Star Wars Rebels universe. Star Wars Rebels: Meet the Rebels reveals the galactic escapades and fun new characters from the series set between the events of Star Wars: Episode III and IV. Meet the characters from the eagerly anticipated all-new Star Wars Rebels animated television series – and learn all about the the band of young rebels and the villains of the Empire they come up against. Star Wars Rebels: Meet the Rebels is at the ‚Beginning to Read‘ level, part of the new DK Reads series, a three-level reading scheme that helps children become confident readers, featuring engaging and illustrated topics. DK Reads is created in consultation with literacy experts and adheres to reading scheme guidelines. The grammar, vocabulary, and content are pitched perfectly for each stage. Your child will love learning to read, following the story and finding out all about the band of rebels in Star Wars Rebels: Meet the Rebels! 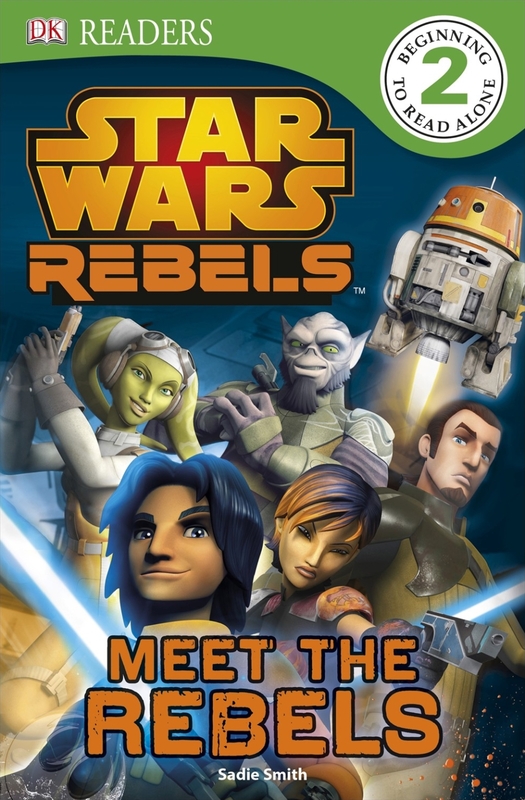 Star Wars Rebels: Meet the Rebels is a fun and exciting new book helping kids learn how to read.